The Spanish Civil War is over and Madrid lies ruined, its people starving, while the Germans continue their relentless march through Europe. Britain now stands alone while General Franco considers whether to abandon neutrality and enter the war. Harry Brett, a traumatised veteran of Dunkirk turned reluctant spy for the British Secret Service, has been sent to gain the confidence of old schoolfriend Sandy Forsyth, now a shady Madrid businessman. Harry finds himself involved in a dangerous game and surrounded by memories. Meanwhile Sandys girlfriend, ex-Red Cross nurse Barbara Clare, is engaged in a secret mission of her own to find her former lover Bernie Pipera passionate Communist in the International Brigadeswho vanished on the bloody battlefields of the Jarama. 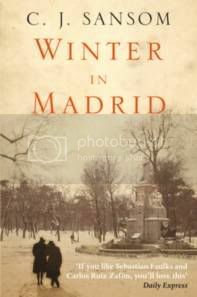 In a vivid and haunting depiction of wartime Spain, Winter in Madrid is an intimate and compelling tale which offers a remarkable sense of history unfolding, and the profound impact of impossible choices. Like a slow poison, the history of the place seeps into his bones as he struggles with an impossible love. Close to despair, David receives a letter from a reclusive French editor, Andreas Corelli, who makes him the offer of a lifetime. He is to write a book unlike anything that has ever existed-a book with the power to change hearts and minds. In return, he will receive a fortune, and perhaps more. But as David begins the work, he realizes that there is a connection between his haunting book and the shadows that surround his home. In 1891, young Léonie Vernier and her brother Anatole arrive in the beautiful town of Rennes-les-Bains, in southwest France. They’ve come at the invitation of their widowed aunt, whose mountain estate, Domain de la Cade, is famous in the region. But it soon becomes clear that their aunt Isolde—and the Domain—are not what Léonie had imagined. 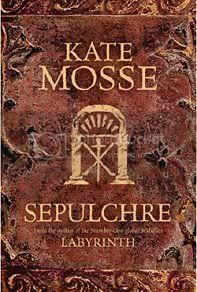 The villagers claim that Isolde’s late husband died after summoning a demon from the old Visigoth sepulchre high on the mountainside. A book from the Domain’s cavernous library describes the strange tarot pack that mysteriously disappeared following the uncle’s death. But while Léonie delves deeper into the ancient mysteries of the Domain, a different evil stalks her family—one which may explain why Léonie and Anatole were invited to the sinister Domain in the first place. More than a century later, Meredith Martin, an American graduate student, arrives in France to study the life of Claude Debussy, the nineteenth century French composer. In Rennes-les-Bains, Meredith checks into a grand old hotel—the Domain de la Cade. Something about the hotel feels eerily familiar, and strange dreams and visions begin to haunt Meredith’s waking hours. A chance encounter leads her to a pack of tarot cards painted by Léonie Vernier, which may hold the key to this twenty-first century American’s fate . . . just as they did to the fate of Léonie Vernier more than a century earlier. I’m a bit cheating this week with my teaser, putting in 3 sentences instead of two but it’s a great dialogue from one of the characters; I had to complete it, lol: “The fourth is that you must not call me Senor Martin, not even at my funeral. I might seem like a fossil to you, but I like to think that I’m still young. 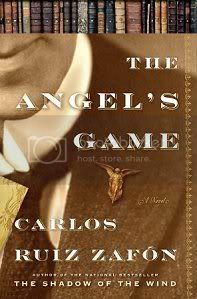 In fact, I am young.” – p. 179, The Angel’s Game by Carlos Ruiz Zafon.